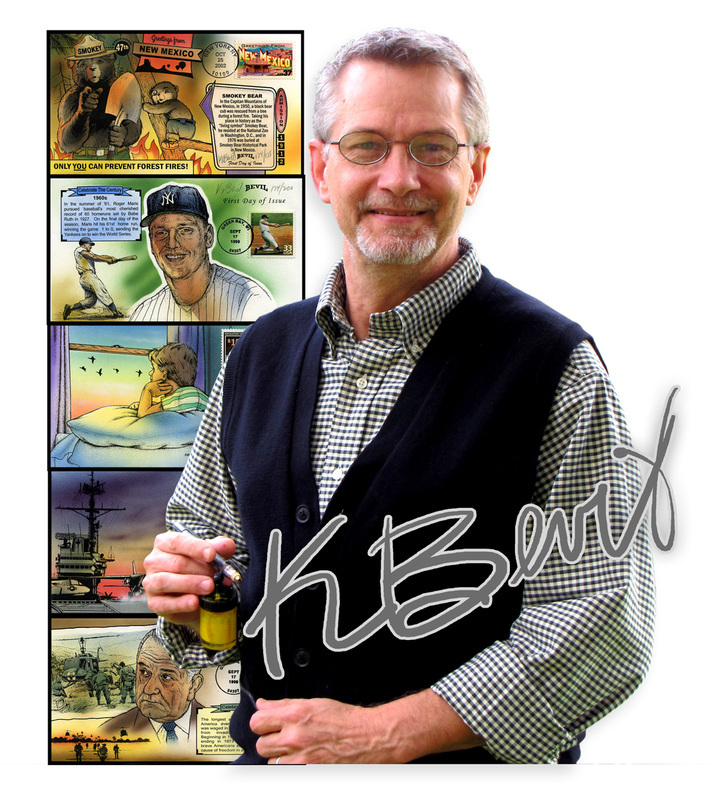 Artist and Cachetmaker Kendal Bevil will visited the Southeastern Stamp Expo in January, 2015. Kendal is a gifted artist who has been producing hand-painted cacheted covers for over 25 years. Kendal's work is so prolific that he was voted the cachetmaker of the 1990s by the American First Day Cover Society. Kendal participated in our cachetmakers bourse on Saturday afternoon where collectors could browse his beautiful stock and perhaps add a hand-painted First Day Cover to their collection. Kendal gave a presentation on Friday afternoon, January 30th, at 1:00 pm. Kendal spoke on his life as an artist and some of the exceptional work he has done. Kendal attends stamp shows rather seldomly, so his visit to the Southeastern Stamp Expo was a special treat for Atlanta area collectors. Some examples of Kendal's work are shown below. Visit Kendal's website to see more examples.